Ordered Before? Please take the survey. COME BACK OFTEN. NEW ITEMS ARE BEING ADDED EVERY WEEK! Free shipping available for continental U.S. only. Canada orders will add $6.95 for shipping and handling charges. Have any questions? Please use the "Contact Us" link below. 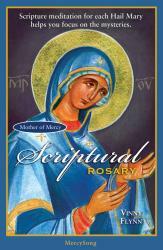 BOOKS, ROSARIES, BIBLES, DVDS, CDS AND MORE!